Scaramuccia was founded in February 2013 on the initiative of violinist and musicologist Javier Lupiáñez with the aim of recovering lesser-known baroque repertoire. Throughout its career, the ensemble has been praised by reviewers and audiences for the liveliness and expressiveness of its performances, its audience engagement, and the originality of its programmes. The deep research behind each programme allows Scaramuccia to have the chance and the pleasure of performing forgotten musical treasures hidden among the standard baroque repertoire. Scaramuccia debuted at the fringes of Bruges and Utrecht festivals in summer 2013, with a very positive reception by audience and organizers. Since then, the ensemble has established itself in the European Early Music scene as an original proposal. 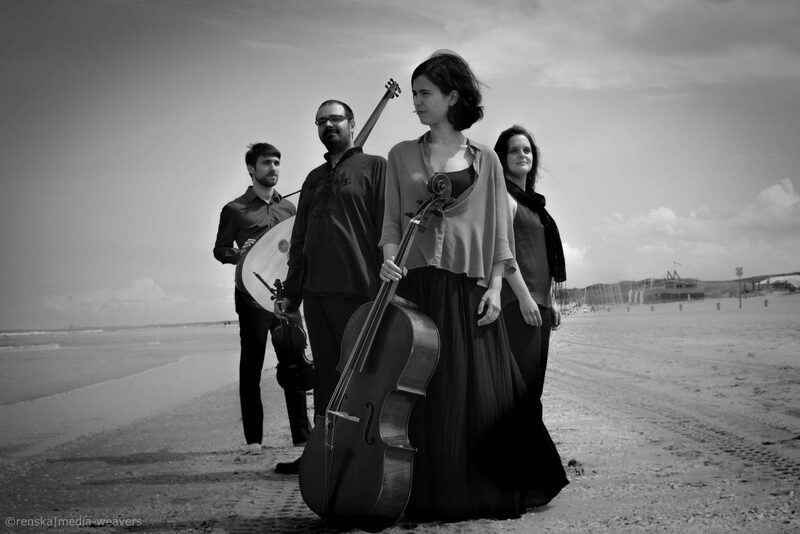 Among other festivals and venues, Scaramuccia has performed in Internationaal Kamermuziek Festival Utrecht – Janine Jansen and Friends, Kasteelconcerten, and Musica Antica da Camera (The Netherlands), Fora do Lugar (Portugal), Festival Internacional de Arte Sacro de Madrid (Spain), Museum Vleeshuis and Philarmonie de Namur (Belgium), Maldon Festival of Arts (United Kingdom), and Festival Echi Lontani (Italy). In its zeal to discover new music, Scaramuccia had the privilege of attributing for the first time the RV 820 and the RV 205/2 to Vivaldi and performing both pieces as a world première in an interview and a live concert broadcasted by the programme De Musyck Kamer of the Dutch radio station Concertzender in the summer of 2014. These pieces, together with the latest Vivaldi discoveries for violin and basso continuo, were recorded for Ayros in 2015 on the ensemble’s first album. Scaramuccia is currently immersed in “The Cabinet II Project”, a journey to Dresden in the footsteps of the great Konzertmeister Johann Georg Pisendel and his manuscripts preserved in the Schranck II. The scope of the project includes the unearthing of musical works, live performances, sheet music and musicological texts publishing, and CD recordings. “1717. Memories of a Journey to Italy”, released in 2018 is the first of these CD. It has been acclaimed by reviewers all over Europe, and has been nominated to the ICMA awards 2019. Around 1680, the combative character of Spanish origins from the Italian Commedia dell’Arte, known as Il Capitano, became Scaramuccia (literally “little skirmisher” in Italian). Scaramuccia exchanged the sword for the guitar, and instead of violence, he used his wits to get out of trouble. In addition, Scaramuccia is a piece for violin and continuo by Nicola Matteis. It was one of the pieces that this group played in our very first rehearsal. It was at this moment that we realized we could have a lot of fun playing together!